Will young invincibles buy into the ACA? Since its enactment in 2010, the Affordable Care Act (ACA), or Obamacare, has been the focus of controversy and heated debate. As the date for implementing the health exchanges approaches, the war of words has intensified. It is perhaps not surprising that in a recent poll for the Kaiser Family Foundation, 51% of respondents said that they lacked enough information to understand how the ACA would affect them and their families, and 44% were unsure whether the ACA was even law. Despite this, the mechanics of the law are relatively simple. Beginning in 2014 insurers will be barred from excluding people due to preexisting conditions or increasing premiums based on health status or gender. At the same time, almost everyone will be required to have health care coverage. This will not be a problem for the approximately 80% of the population that already has coverage through a large employer (50 or more employees) or a government program like Medicare. As Larry Levitt, an executive of the Kaiser Family Foundation, put it, “the individual mandate will be a non-event” for the bulk of the population. The real issue is how the ACA will impact the relatively small number of individuals who do not have or cannot afford coverage, or are dissatisfied with coverage they currently have through an employer, and previously had to rely on the unregulated individual insurance market. These people (estimated to number 22 million in 2014) will now be able to buy coverage in health exchanges, or health insurance marketplaces. Although critics of the ACA have argued that that some people will be forced to buy coverage they cannot afford, the Kaiser Family Foundation estimated that 48% of those in the individual market will be eligible for tax credits, which will “reduce the premium for the second-lowest-cost silver plan by an average of 32% across all people now buying insurance in the individual market.” Some will also be eligible for cost sharing, which will further offset the cost of coverage. Averages of course can be misleading, and it would be disingenuous to argue that no one will be faced with “rate shock.” Some younger and healthier people will undoubtedly face higher, though still reasonable, premiums. It is critical that these people, often called the “young invincibles” participate in the new system. Second, health insurance is based on the principle that young, healthy people will compensate for older, less healthy individuals. If the former fail to buy coverage, the result will be “relatively bad risk pool, leading to high premiums that drive out even more healthy people.” This could eventually cause the system to become unsustainable, a point understood by some opponents of the ACA who are actively engaged in trying to persuade young people to defy the law and not buy coverage. Persuading young people to reject coverage may be a difficult sell, however. Polling has found that young people “’value health insurance but cannot afford it.’” In a Kaiser Family Foundation poll, only a quarter of respondents between ages 18 and 30 said they were healthy enough not to need health insurance. The success of the ACA could well hinge on the ability of supporters to bring young people into it. Stephen Gorin, PhD, MSW is a Professor of Social Work at Plymouth State University. He is the author of “Health Care Reform” in Oxford Bibliographies in Social Work and co-author of “Health Care Reform” in the Encyclopedia of Social Work. This week we’re offering views and insights from Oxford University Press authors on the Affordable Care and Patient Protection Act in anticipation of open enrollment beginning on 1 October 2013. Read previous articles including Theda Skocpol and Lawrence R. Jacobs: “What does health reform do for Americans?”, Andrew Koppelman’s “Politics, narratives, and piñatas in health care”, Eileen Boris and Jennifer Klein’s “Who cares for those who care?”, and Tom Allen’s “Criticisms of Obamacare”. The Encyclopedia of Social Work is the first continuously updated online collaboration between the National Association of Social Workers (NASW Press) and Oxford University Press (OUP). Over 400 overview articles, on key topics ranging from international issues to ethical standards, offer students, scholars, and practitioners a trusted foundation for a lifetime of work and research, with new articles and revisions to existing articles added regularly. Subscribe to only social work articles on the OUPblog via email or RSS. 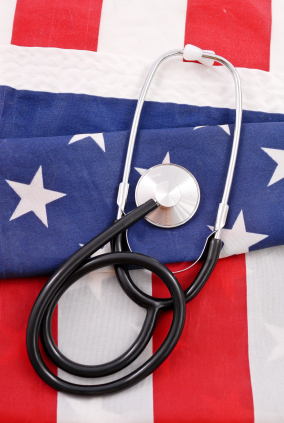 Image credit: Medical Stethoscope on folded American Flag for US Health Care concepts. © jcjgphotography via iStockphoto.